OK I'm pooped... 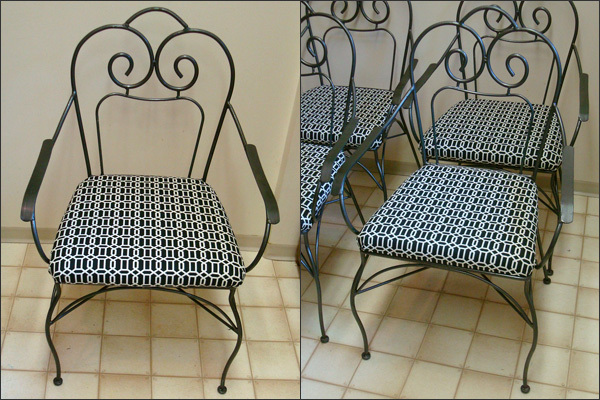 I finished up the upholstery on the metal chairs this afternoon. A couple of hours of hammering was not as fun as I thought it would be. While I was finishing up chair 4 that's when I started to feel it - my eyes and my arm... Ugh! 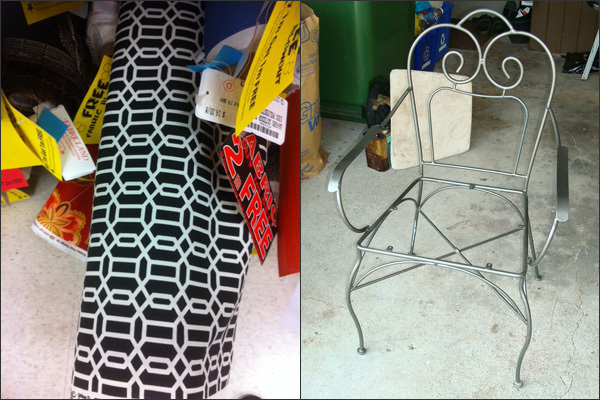 DIY-ing can be hard on the body. 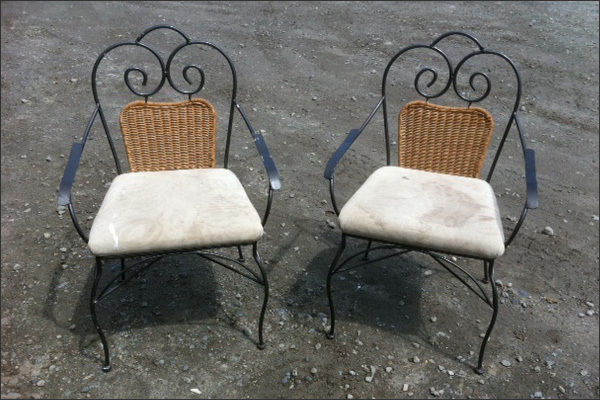 But I wanted to get the final 3 chairs updated then deliver them. They found a new home in a jiffy! 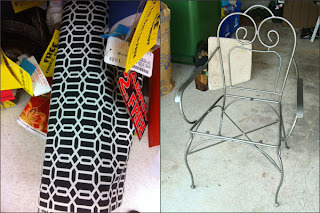 And here they are when I first saw them... For $3/each they were a steal with tons of potential! 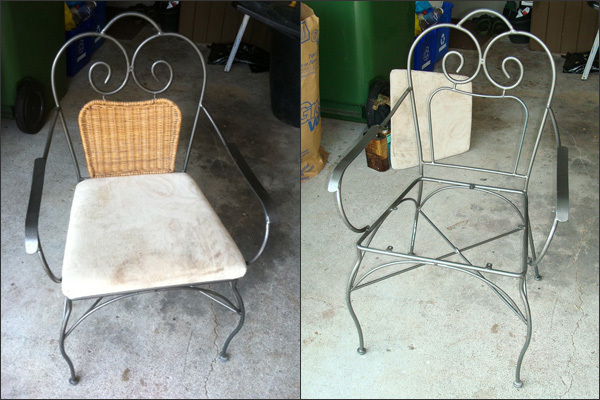 It took awhile and some painful moments but I removed the wicker and the icky fabric from the chairs. Wow did that make a big difference! 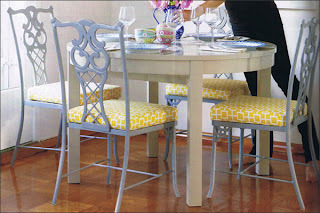 The fabric I picked up at Fabricland really worked with the chairs. Here's the end product. The new fabric and removing the wicker made these chairs super modern. And the update cost me about $30 plus my time. The 4 chairs cost me $12 plus under $20 for the fabric. Not bad! 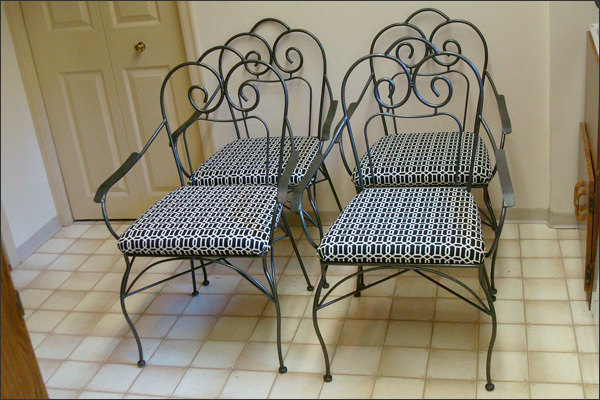 My friend and sewing buddy Thelma snapped these chairs up. I'm happy to have found a good home for them. 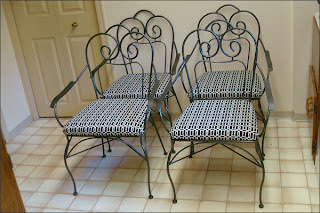 If I had room, I would have kept them but there's only so many chairs a single girl needs... And I definitely have enough!